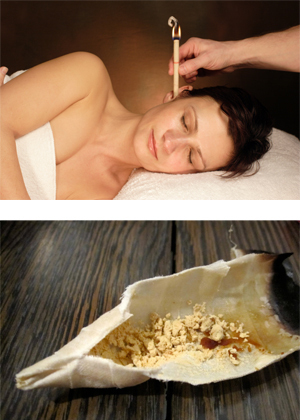 A relaxing and passive way to remove ear wax and debris from the outer portion of the ear canal. No flushing, no discomfort. Relief from: pressure in the ear, hearing loss, plugged feeling, TMJD, sinus pressure, ear discomfort from air travel and more. An ancient healing art that really works!